Let my imagination run away with you gladly. A brand new angle, highly commendable. 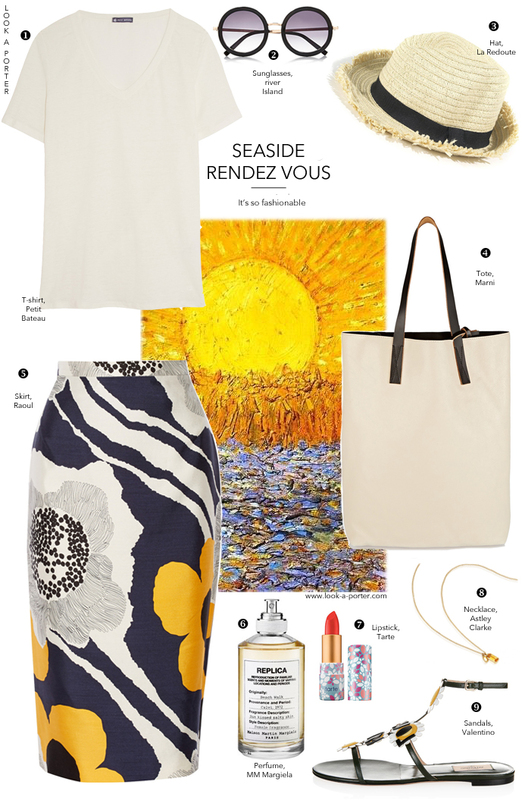 Seaside rendez-vous - chest la vie, Madames et Monsieurs. At the peak of the season, the Mediterranean, this time of year it's so fashionable. Just keep right on dancing. What a damn jolly good idea! Gorgeous collage! Love that Raoul skirt!